This TP-Link TL-WR340G router has a firewall that helps protect the home network from unwanted Internet access. A firewall does this by blocking all incoming and outgoing connections that are not authorized. In order to authorize additional connections to go through the firewall for an online game or application you need to create what is called a port forward. A port forward sends the named port through the firewall directly to a designated computer on your home network. How to setup a static IP address on the device or game console you want to forward these ports to. 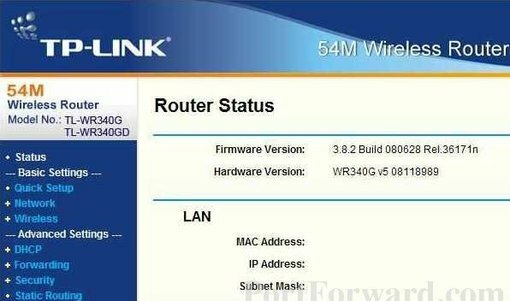 How to login to the TP-Link TL-WR340G router. How to find the port forwarding section of the router. How to make a port forward entry. NOTE: Write this address down on a piece of paper. You need it a little later in Step 4. It is now time to login to the TP-Link TL-WR340G router. To do this you need to open a web browser such as Google, Internet Explorer, Edge, or Firefox. It typically doesn't matter which browser you decide to use. Do you see the address bar in the image shown above? I have circled it for you and it has 192.168.1.1 in it. In this address bar, enter the router's IP address. This can also be called the computer's default gateway or the router's GUI address. If the above login page does not appear, you need to find out what the router's IP address has been changed to. To help you with this, follow the instructions on our How To Find Your Router's IP Address page. 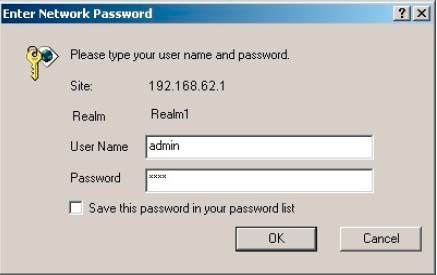 After entering the router's username and password, press the Enter key or the OK button to access the router's user interface. Try other TP-Link username/password combinations. If you have a different firmware version you could easily have a different username and password as well. Here is our list of Default TP-Link Router Passwords. If that does not work, it is because the username and password were changed. We recommend taking some time guessing what you may of changed it to. For extra help you can user our Router Password Cracker. Finally, if you are still unable to login to the TP-Link TL-WR340G router, you may need to reset the router. Resetting a router is a big step and should not be taken lightly. All your personal changes you have made in the past are erased. If you need to reset your router read this How to Reset a Router page. Begin by pressing the Forwarding link in the left sidebar. Next, click the Add New button in the center section of the page. You are now ready to enter the port forwarding information. In the Service Port box type the port to forward. Enter the IP address to forward these ports to into the IP Address box. If you are forwarding ports so you can run a program on a device other than your computer then you can enter your device's IP address into that box. From the Status dropdown box choose Enabled. After each entry, make sure to click the Save button. 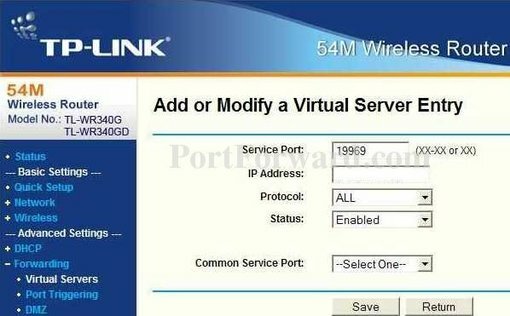 Now that you have forwarded ports on the TP-Link TL-WR340G you should test to see if your ports are forwarded correctly. Don't have time to port forward? You ran into troubles while port forwarding the TP-Link TL-WR340G? Use our Port Forward Software. We really think port forwarding should be easy. If you use our software we will troubleshoot, diagnose, and fix all your port forwarding issues. Let us help, we will get your ports forwarded. Wait there's more. We have more than just port forwarding guides. Check them out here. Try one of our game walkthroughs or learn how to read binary. We are your computer information source. Interested in learning how to setup a router like a pro? At setuprouter.com we have router specific guides to show you how to setup a secure network, change your radio channel, what encryption to use and much more.